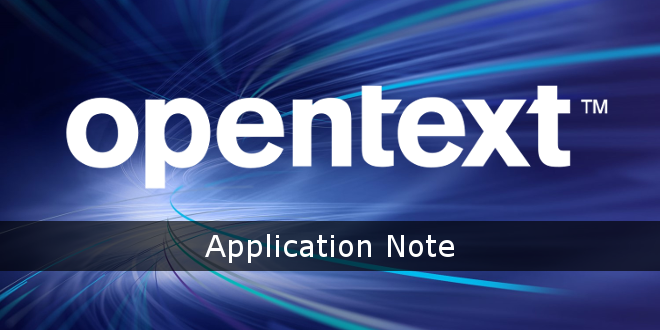 OpenText™ | Web Site Management Installing and Using the Workflow Trigger - Open Text Web Solutions Usergroup e.V. This document outlines the installation and use of the Workflow Trigger service and its corresponding executable. The Workflow Trigger Web Service receives the XML from the third-party application. The XML content includes the category, attribute data, and an indication of the data source, such as a catalog request. The Workflow Trigger Web Service identifies the source of the XML from its content and looks into the configuration file to determine the directory into which to copy the XML content. The Workflow Trigger Web Service is only responsible for placing the content for processing, and is not responsible for the actual processing of the XML. Restricting the Workflow Trigger Web Service in this way reduces the risk of an external application overloading the CCS service and denying service to CCS users. The Workflow Trigger Execution engine is started using a batch file to trigger an instance of the engine for each permitted source. The Workflow Trigger Execution engine is a task that looks every five seconds to identify if there are XML files to process from the defined source. When an XML file is present, it is processed based on the execution rules in the configuration file. Upon completion, the Workflow Trigger Execution checks for further files and then processes each in turn. It is the Workflow Trigger Execution that triggers the workflow in CCS, and is responsible for identifying and reporting errors.